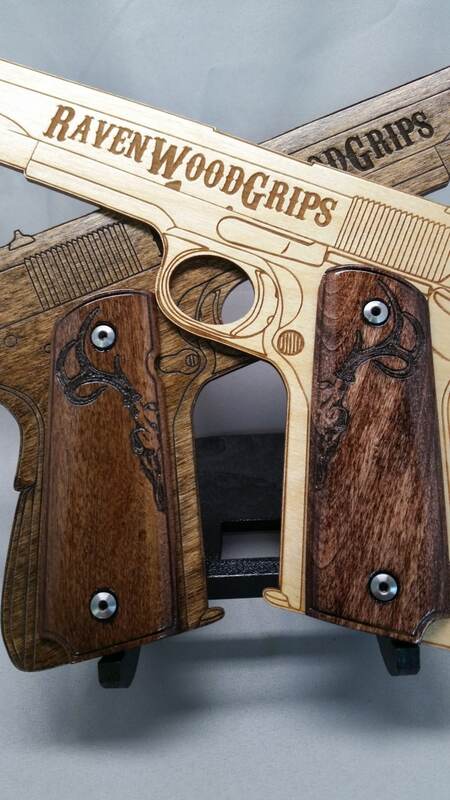 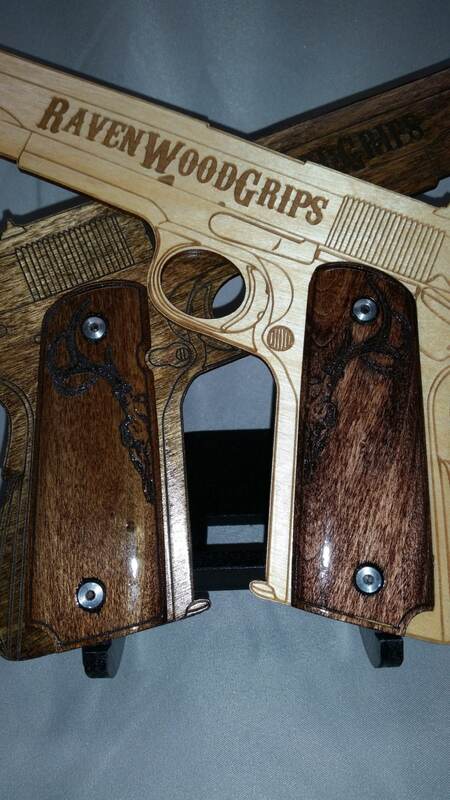 Poplar was used to make these Full Size 1911 grips. 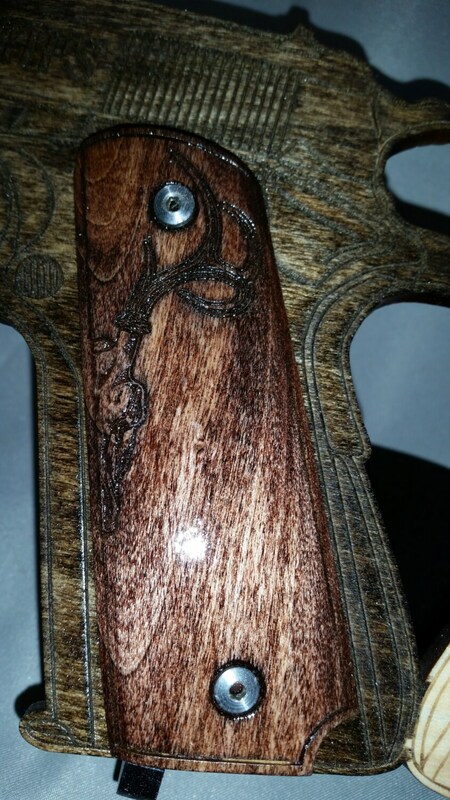 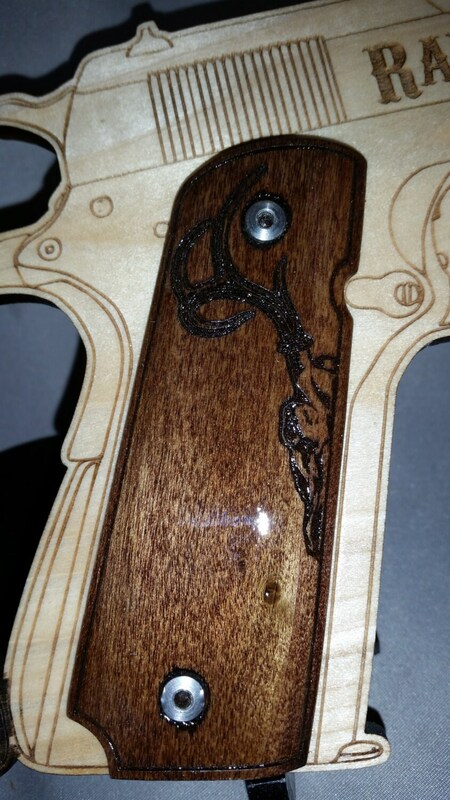 Engraved with a Stylized Deer Skull split in two so the grips are mirror images of each other. 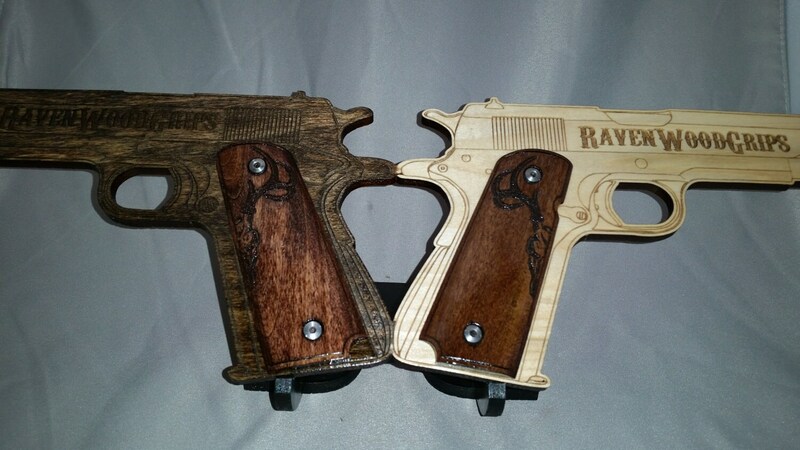 If you are a hunter, or appreciate nature these will definitely turn heads.